Why is this useful? Its probably not. But its just FYI to you. I guess because I can type this in quicker and just get what I need instead of waiting on dashboard to come up and look at this. 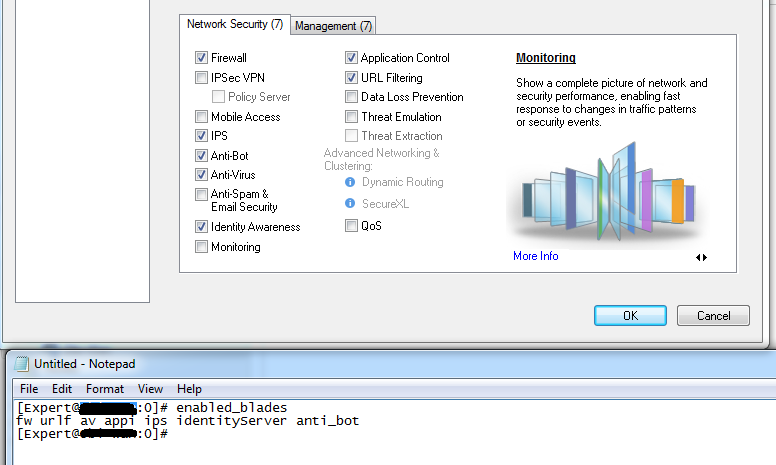 If you type "enabled_blades", you get the same check boxes you see in dashboard, just in CLI. See dashboard below, and CLI below that. I agree. But what do we do in the future Brad? I'm not sure.